Student teams from local high schools will have their day in court soon. The annual Stanislaus County Mock Trials event is set to take place at 5:15 PM on February 5, 7 & 13 at the Stanislaus County Courthouse, 800 11th Street, Modesto. The championship round between the top two teams will be held on February 19 at 4:00 PM at the Martin G. Petersen Event Center, 720 12th Street, Modesto. An awards ceremony will follow at approximately 6:30 PM. 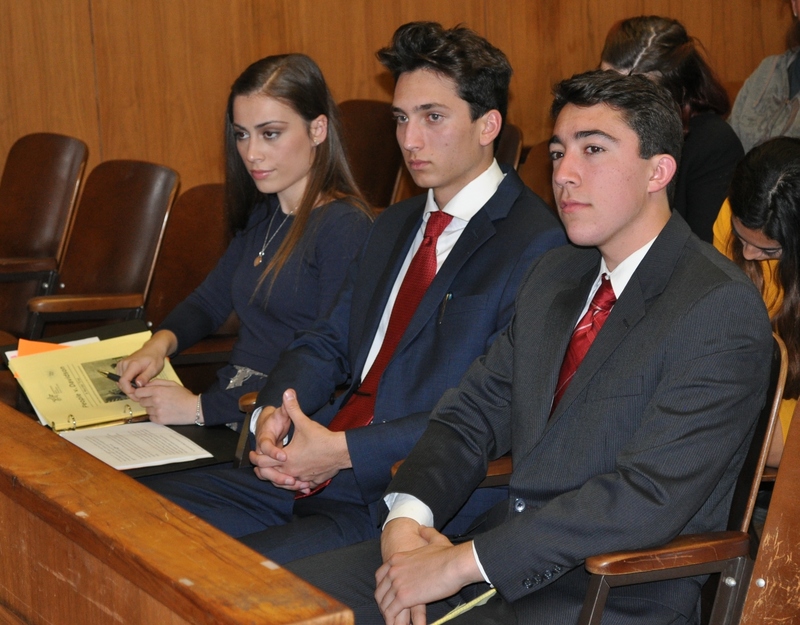 Sponsored by the Stanislaus County Office of Education (SCOE) and the Education Foundation of Stanislaus County, the annual High School Mock Trials competition provides an opportunity for students to demonstrate acquired listening, speaking, reading and reasoning skills. Working on teams, students study a hypothetical case, conduct legal research, and receive guidance from volunteer attorneys. Students gain a working knowledge of the judicial system as well as an understanding of the link between the United States Constitution and the substance of the law. Superior Court Judges conduct each trail, with the teams scored by attorneys practicing in Stanislaus County. Twenty-four volunteer scorers are required for each trial during the three evenings of competition. If you are an attorney interested in volunteering, please contact Cheryl Goulart by phone at 238-1710 or by e-mail at cgoulart [ahtsym] stancoe [dhotsym] org. This year’s fictitious case, People v. Klein, is a criminal case of a false report of an emergency and criminal threat, featuring a pretrial argument on the First Amendment. Eight Stanislaus County high schools are slated to participate: Beyer, Davis, Downey, Enochs, Gregori, Johansen, Modesto, and Turlock. The winning team will advance to the state competition scheduled for March 22-24, 2019 in Sacramento.